In My Kitchen this month are many things. 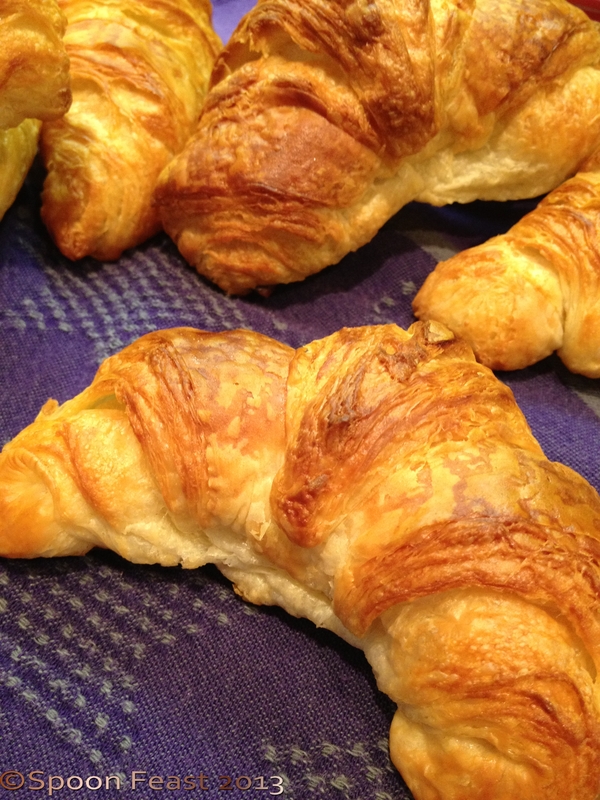 Croissants, Hamentashen, Almond Cakes, so much to give away! My hairdresser got the croissants (some had lovely chocolate in them), Hamentashen went to many Jewish friends, Almond cakes went with the TV crew and one got scarfed by us smothered in lovely berries and vanilla yogurt. 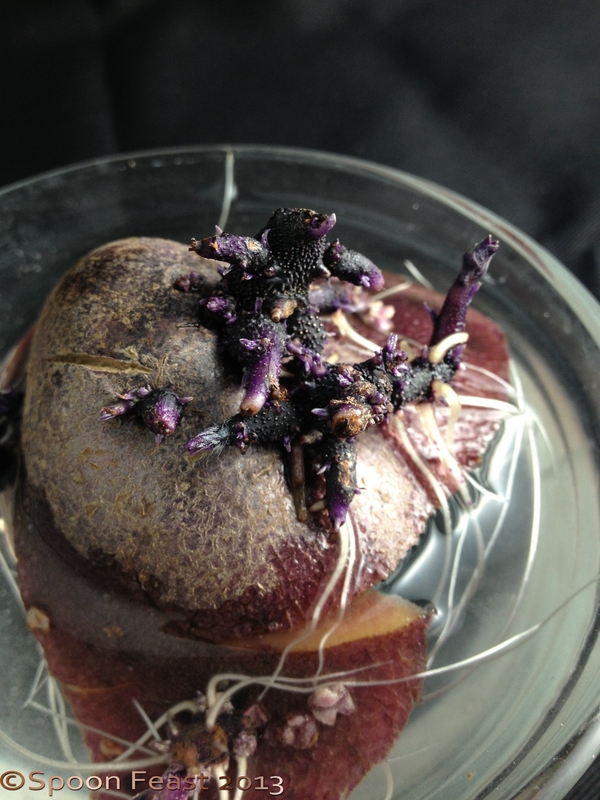 “rooting”. I think these may get grown in a bag, if I can find one, to help with harvesting later. There is a Vita-Mix in my kitchen this month, to “play with” for school. Also included is the large Whole Foods Cookbook they produce for using the Vita-Mix. My assignment is to come up with something to use it for next semester when my class is “Global Cuisine”. One thing I have learned is that I really like my food with texture, and I like to chew my food rather than drink it. I made a wonderful tasting marinade – Citrus Ginger Marinade – that we really liked the flavor but not the emulsified texture of the marinade,sauce or dressing it could be used as. I’ll play with it for a little while longer to see what else it can do, but so far, while I like a powerful blender, it isn’t something I’d really use that often. Smoothies aren’t really my thing, eventually pureed soups need something more interesting than a smooth texture. My opinion, you may love your Vita-Mix! If so, please comment on how you use it! Perennial herbs are beginning to show signs of growth as winter wanes. We only had one good afternoon of snow last Saturday and it was all gone on Sunday. 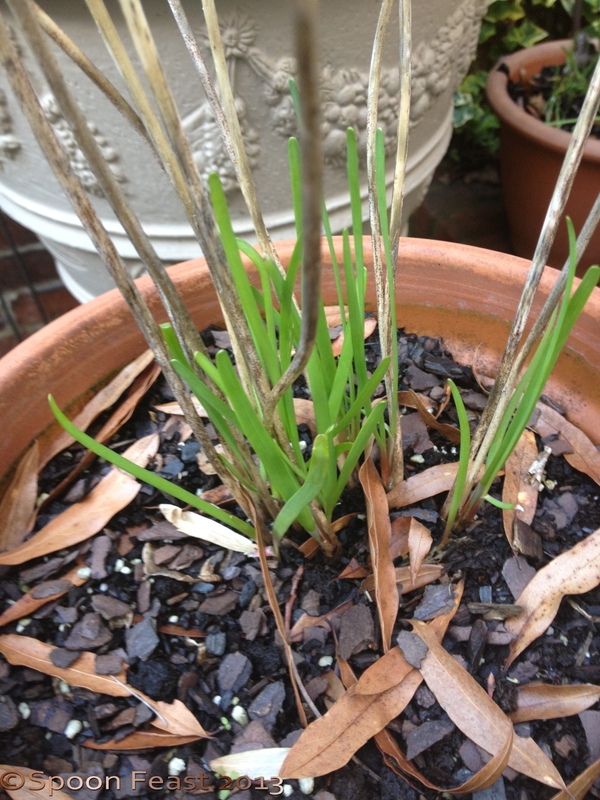 But, the tarragon, chives and rosemary are all showing signs of Spring. 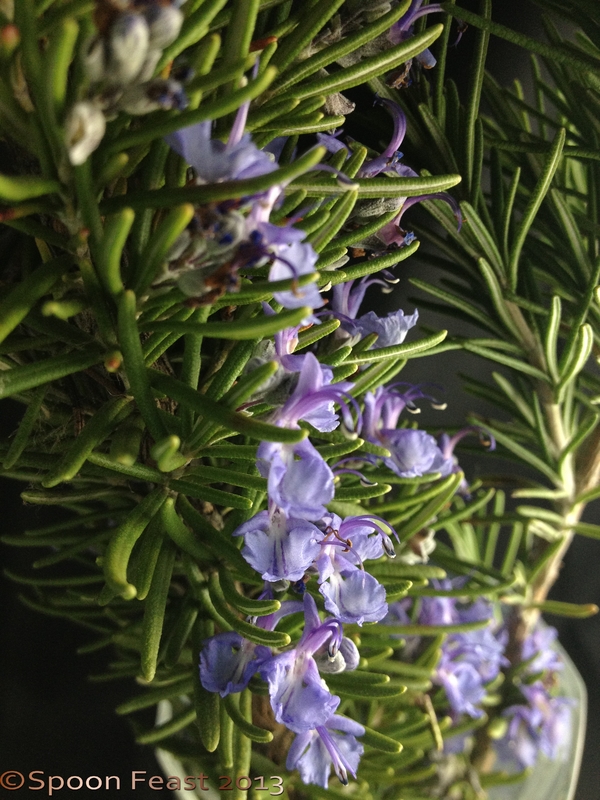 I love eating Rosemary flowers! Right now the plant is bursting with the pale purple flowers. Sage flowers are next and then chive flowers. Gather a bunch of them from your herb garden and pop them onto vegetables, salads or garnish almost any dish with them. The flavors are amazing, be sure to linger over it, notice it and enjoy. Shout out to Celia over at Fig Jam and Lime Cordial for hosting the monthly In My Kitchen Posts! There are many more things simmering away in my kitchen so I’d better grab my camera and get busy documenting. March 2 and it has been snowing all morning. 2 weeks ago we had “thunder snow”. Local weather lore says if you have thunder snow, you will have another snow 10 days to 2 weeks later. 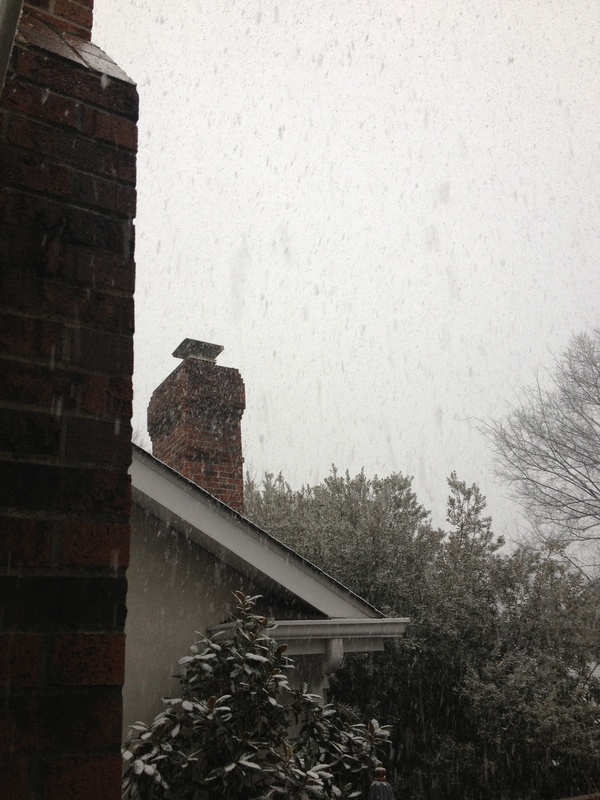 We had thunder snow 2 weeks ago and this morning we have lovely big fluffy flakes that have been falling all morning. The ground is far too warm for anything to stick so it is really nice to watch. Butternut Squash Soup and Grilled Cheese and Tomato Sandwiches for lunch. And that is what is happening in my kitchen this month. 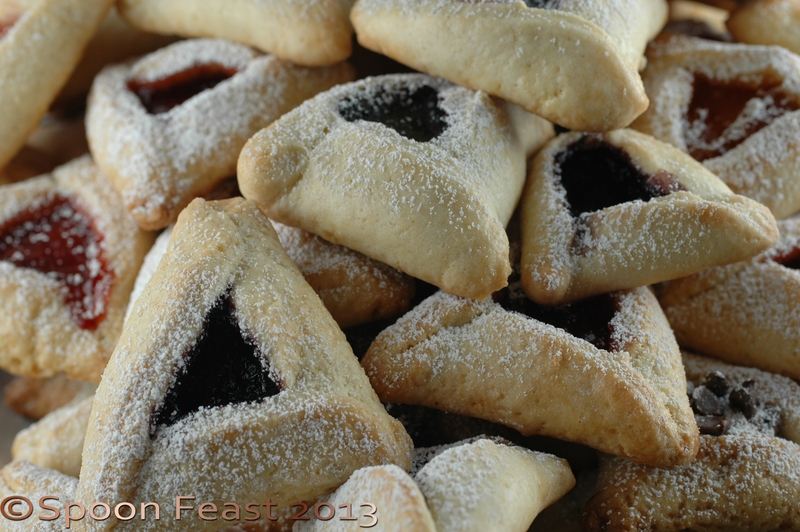 This entry was posted in Cooking, Cooking Thoughts, In My Kitchen and tagged Almond, Almond cake, cooking, Croissant, food, Hamentashen, Shopping, Vita-Mix. Bookmark the permalink. The snowfall is so pretty too! Thank you Uru, I believe this may be the last of the snow. Can’t wait for Spring! I live much farther north than you- it has been snowing in a rather desultory fashion for the last three days and shows no plans to stop. I wish I could hope for spring. I’m going to Virginia this month to get a little southern comfort! 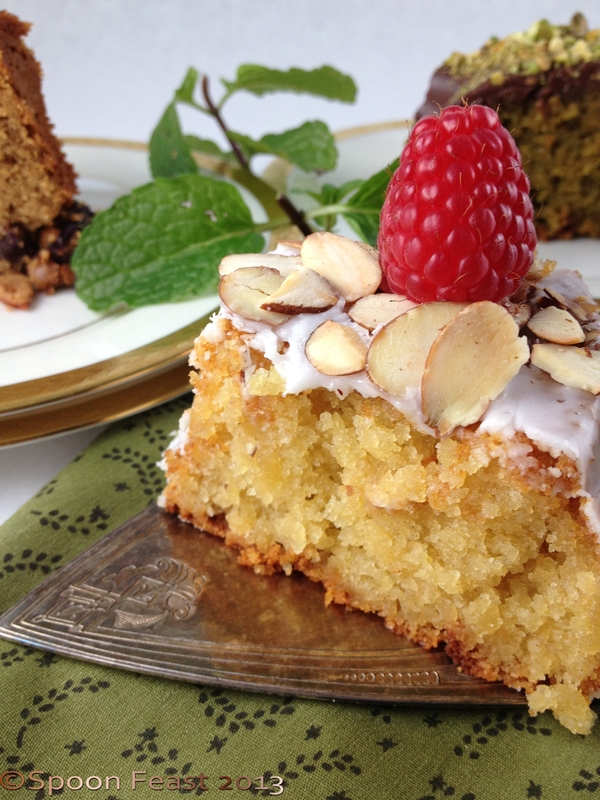 I love your Hamentashen – would you share the redipe for the almond cake? It looks perfect! I know what you mean about the Vitamix- I like the texture of food- soups included. Thanks for sharing Pamela- I really enjoyed your kitchen this month. Snow yesterday and now today up to near 50. Go figure! Pamela, I have a Vitamix and I love it. I have the dry bowl and the wet bowl. I use the dry bowl to crush nuts, make flours and whizz sugars. 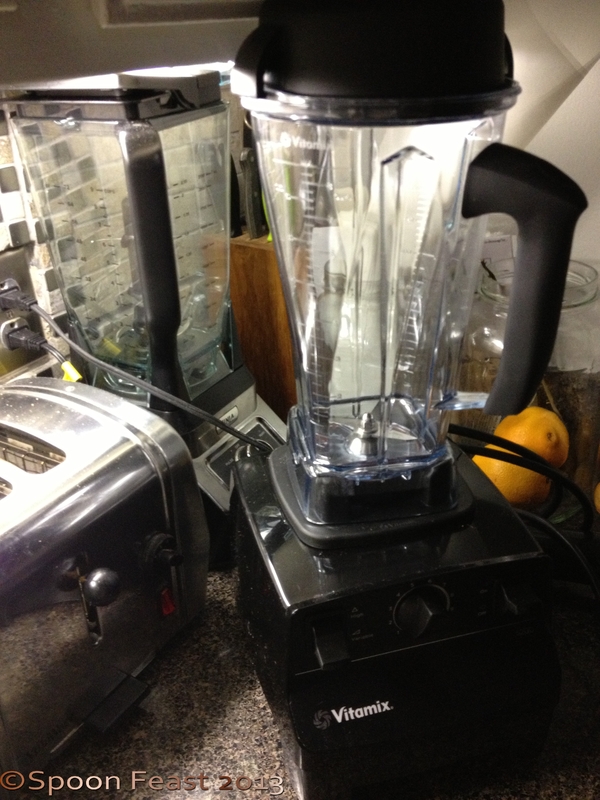 It also makes much smoother smoothies, dips, pate and hummus than a food processor. I just love mine. If it is nearly spring your way it is nearly autumn my way. Yippie!! Glenda, I think I’ll get used to it but I won’t be pureeing every meal. Thant would be boring! I like the idea of nut butters and flours. Hummus is next for today. Thanks! Pamela, I also have a vitamix, love smoothies and sorbets which it does brillantly. Best of all I like all the other uses, making caster sugar, almond flour, custard, hummus, blitzing grains, almond milk – always finding another use!! I also want to be in your kitchen. I cannot wait to see how your potatoes do! Me too! I love the purple ones. I’ve got my fingers crossed.